Walkthroughs and examples for methods like Object#tap, Array#bsearch (a Ruby 2.0-ism) and Enumerable#flat_map. You should pick up at least a trick or two from here. A variety of benchmarks have been implemented and are run for every commit and release of Ruby. Sam Saffron explains more about the project. A look at how Ruby 2.2 has added the Method#super_method method which exposes super method metadata which can come in handy when debugging. 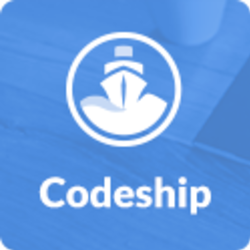 Codeship offers 100 builds/month and 5 private projects for free. We just released a major redesign of our application with, thanks to your feedback, further improved usability. Give us a try and sign up for our free plan. A simple to use Web-based VM configuration tool for building Rails servers using Vagrant and Ansible. Pick your options and it produces a downloadable set of configs ready to use. Hongli Lai is one of the co-founders of Phusion, the creators of the Passenger app server commonly used to serve up Ruby and Rails apps. A look at an interesting and perhaps unexpected situation where the result of 1.day claims to be a Fixnum but.. is and isn’t. Shelly Cloud is a platform for hosting Ruby and Rails applications, focusing on the developer's happiness. A tutorial for implementing a text message based verification method when users sign up in your Rails app. DICOM is a medical imaging standard. With Volt, write code in Ruby and have it run both in the browser single-page-app-style and on the server. A rather artificial example but a look at how calling out to programs written in Go can work. Easier to scan for notifications from in-house or dev/staging apps. Does progress bars, tables, colors, indentation. Uses the same parsers and CSS that Github uses for their markdown rendering.